Yellow Gum and Yellow Box honeys are light coloured and have a creamy subtle taste, whereas Grey Box and Red Gum honeys are slightly darker in colour and have a stronger flavor. These and other varieties are collected from our hives throughout the season. 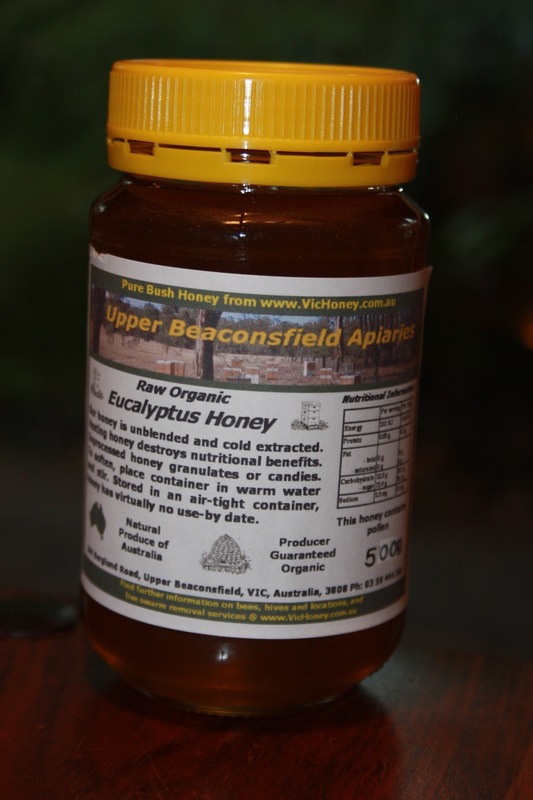 Please contact us on 0448 916 566 or email Anna if you would like to order some honey. You can purchase our honey by money transfer into our Bank Australia Account. Australia Post mail charges to your mailing address apply. Usual delivery times apply. 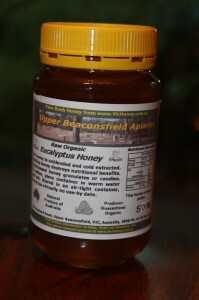 500g jar organic eucalyptus honey (Currently available) $10.oo plus postage & handling. When emailing to order honey please mention your postcode so postage cost can be calculated.